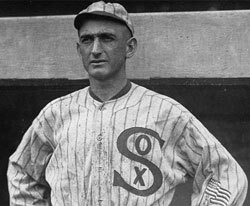 "Shoeless" Joe Jackson - Born in South Carolina. The star player on the team and a superstar of his day. 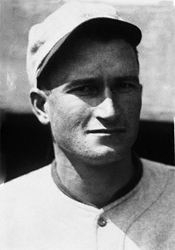 His leadership on the team is derived from his prowess on the playing field. Illiterate, but possesses a wisdom that is admired despite his lack of formal education. 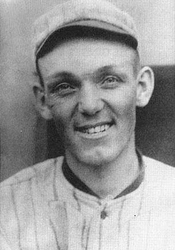 Oscar "Hap" Felsch - Born in Wisconsin. Very good ballplayer who reads books to improve himself on the field and off. Gets along with most players on the team. Is friendly with Cicotte. 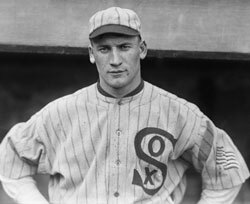 Claude "Lefty" Williams - Born in Missouri. Jovial and naturally funny. 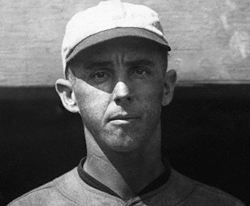 Plays second fiddle to Cicotte on the pitching staff. 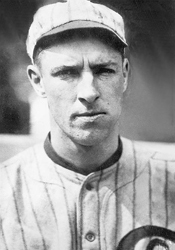 George "Buck" Weaver - Born in Pennsylvania. The emotional sparkplug on the team. Highly energetic. The team cheerleader. Maintained his innocence in the scandal until the day he died. 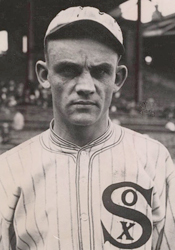 Arnold "Chick" Gandil - Born in Minnesota. The ringleader and mastermind of the fix. Considers himself the smartest person in the room. Tough, hard-nosed, cynical and remorseless. Charles "Swede" Risberg - Born in California. Physically, the largest person on the team. Generally, a mean, angry temper with a short fuse. Admires Gandil and is his closest friend on the team. 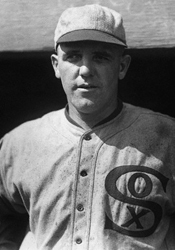 Eddie Cicotte - Born in Michigan. Oldest man on the team and the star pitcher. Needed for Gandil's plan for his pitching prowess. A decent man on and off the field who doesn't socialize with the other players. Fred McMullin - Born in Kansas. Utility player in on the fix from the beginning. Keeps to himself. Drinks too much.